Daily readers know we rarely comment on color changes, so when a new shade crosses our pages you know it's worth ogling. 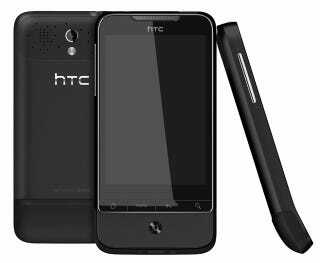 The HTC Legend, which in my opinion is the most gorgeous phone around, now comes in black. It was previously only available in silver, but this "phantom black" shade keeps the aluminum materials for an even more stunning look. Can you tell I'm excited? I really am. Sadly it's only available across Europe, joining the white HTC Desire which appeared a few weeks back. Both will be on sale in October.